정유재란 때 전라도지방의 관문이었던 석주관을 끝까지 지키다가 숨진 구례출신 의사(義士) 7명의 무덤이다. 석주관은 경상도지방에서 전라도지방으로 통하는 관문으로서 군사전략상 매우 중요한 곳이었다. 안음의 황석산성·진안 웅치·운봉 팔량치와 함께 영남과 호남 사이의 4대 관문의 하나로, 고려때부터 이곳에 진영이 설치되어 왜군의 침략을 막았다. 1597년 정유재란이 일어났을 때 왜군은 호남지방을 목표로 하여 이곳을 집중공격하였다. 그러자 왕득인이 의병을 일으켜 적에게 대항하였으나 결국 숨지고 말았다. 그후 왕득인(王得仁)의 아들과 각 지역에서 모여든 의병·승병들이 힘을 합쳐 처절한 혈전을 전개하였으나, 역시 대부분의 의병을 희생시킨 채 끝나고 말았다. 순조 4년(1804) 나라에서 왕득인을 포함한 7명의 의사에게 각각 관직이 내려졌고, 1946년에는 뜻있는 지방 유지들에 의해 칠의각과 영모정이 세워졌다. 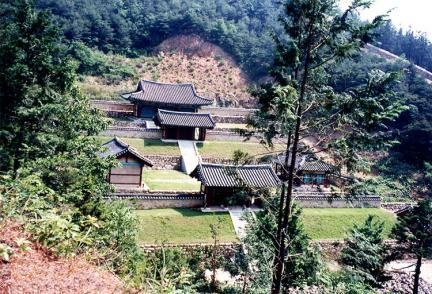 These are the tombs of the 7 highly principled men who defended the Seokjugwan Fortress, which was the barrier-gate of Jeolla-do, until the end and died. 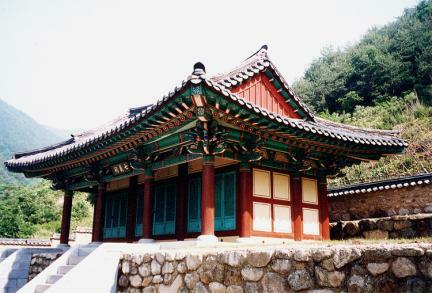 Since Seokjugwan is the barrier-gate to Gyeongsang-do from Jeolla-do, it is a very important position strategically. 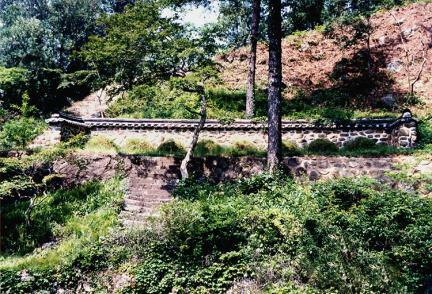 It was one of the four barrier-gates between Gyeongsang-do and Jeolla-do, including Hwangseoksanseong Fortress, Ungchi Pass of Jinan, and Pallyangchi Pass of Unbong. 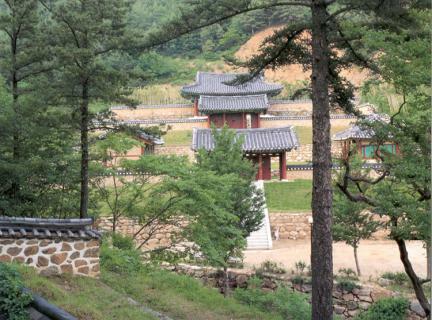 A military encampment was set up here during the Goryeo Dynasty to keep the Japanese army away. When the Japanese Invasion of Korea in 1597 broke out, the Japanese army launched a converging attack to access Jeolla-do. Wang Deuk-in gathered volunteers and fought the Japanese army but died. 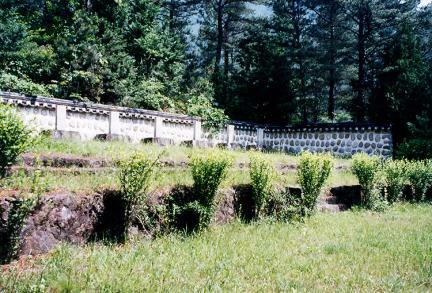 After that, his son and the volunteers from several areas and monks fought a bloody battle against the Japanese army, but most died a heroic death. 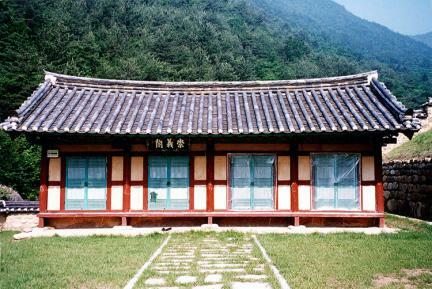 In 1804, the authorities gave the official post to the 7 highly principled men including Wang Deuk-in; in 1946, some local people built Chiruigak Shrine and Yeongmojeong Pavilion for them.